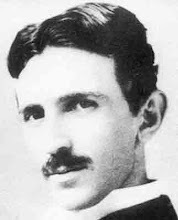 Nikola Tesla began his univesity education at the Graz Polytechnic Institute, pursuing studies of the subject that fascinated him above all others: electricity. Tesla was an extraordinary student who frequently enraged his professors, questioning the technological status quo. He rebelled against the generally accepted belief that direct current (DC) was the sole means of delivering electrical power. It was obvious to Tesla that DC was inefficient and incapable of adequately transmitting power over long distances. There had to be a better way. 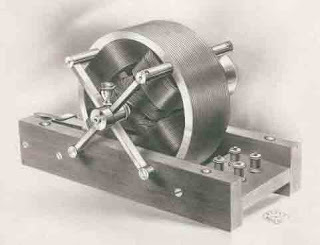 At the time, an “alternating current system” was nothing more than a theory. In the middle of Tesla's second year at Graz, his father was felled by a stroke. Nikola returned home, and his father died soon after. Lacking funds for tuition, he took a job at a government telegraph office. Tesla was upset that his education had been interrupted, but held on to his dream of becoming an electrical pioneer. It was at this time that Tesla endured an ordeal with hypersensitivity that reduced him to a bedridden invalid. Considering the depressing turns his life had just taken, the bizarre affliction could possibly have been psychosomatic in origin. Whatever its cause, when Tesla finally emerged from the prolonged fugue state, he was armed with a powerful new insight on how AC could be successfully attained. We﻿ have reached a technological threshold, over that threshold is knowledge that most people refuse to open their minds to. I hope that people start to become less ignorant in the future. I appreciate all the information. I have just posted a video documentary, "The Missing Secrets of Nikola Tesla" to my blog that your readers may find to be of interest.